More expensive than some other potty brands. 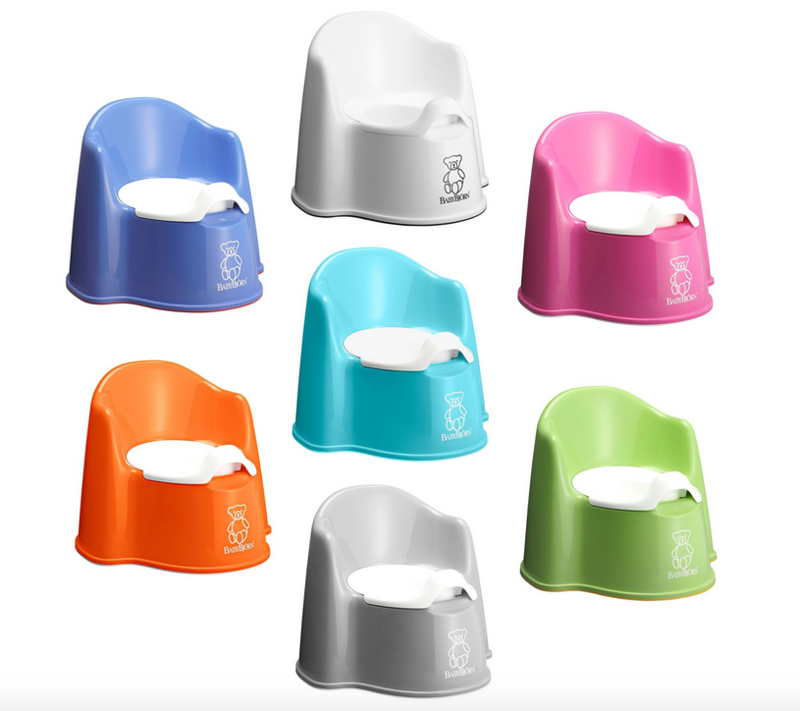 This potty was recommended to us as being good for boys and we have been very pleased with it while potty training our son. It is sturdy and well designed. It is a comfortable seat for my son and he can hold on to the armrests. The removable middle makes cleaning easy. 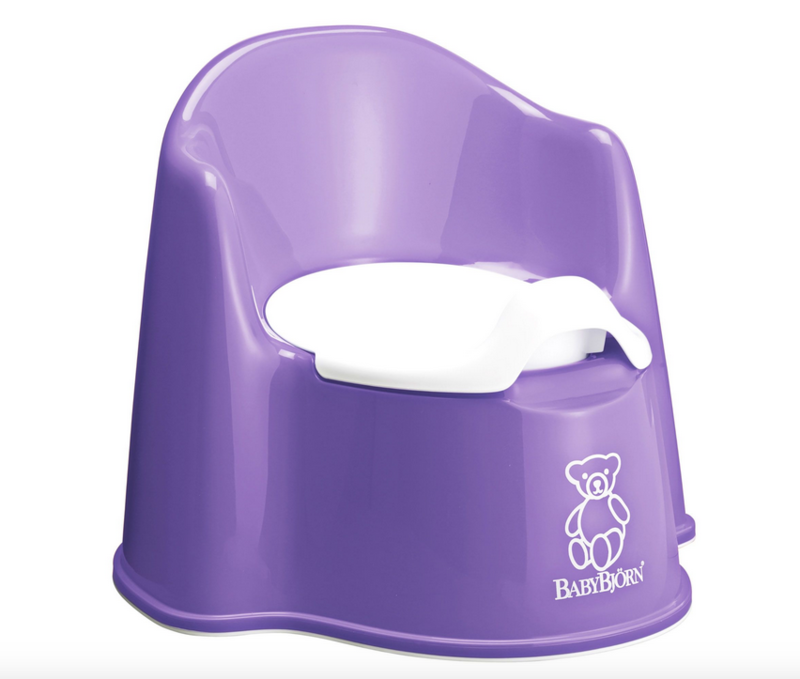 He uses it for sit down and stand up toileting. The Babybjorn potty chair is strong and well designed, boasting smooth edges, a high backrest and comfortable armrests to help your child feel comfortable. It is easy to empty and clean and will stay firmly in its place, even if your child does not.